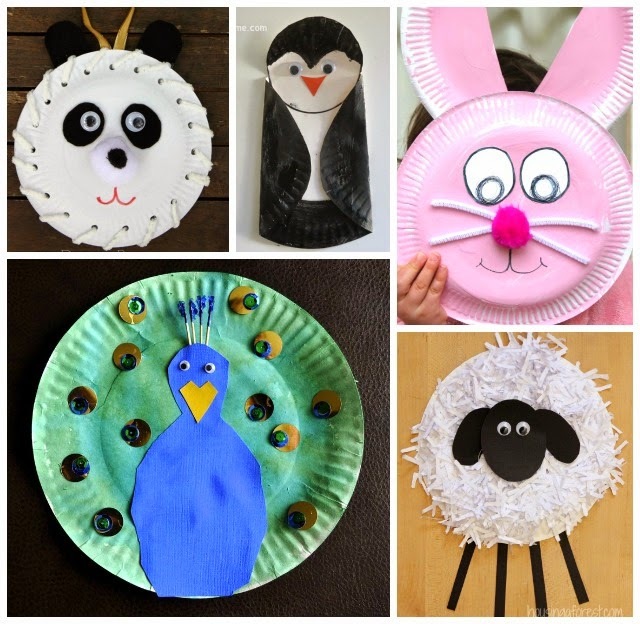 Paper plates are a fabulous base for crafts, especially if you're making them with a group of children, as they are quite cheap, sturdier than paper, already in a circular shape and are sold in multi-packs. Many of us would already have some tucked away in the back of a cupboard somewhere, making these crafts ones that you'd probably already have all the materials for. 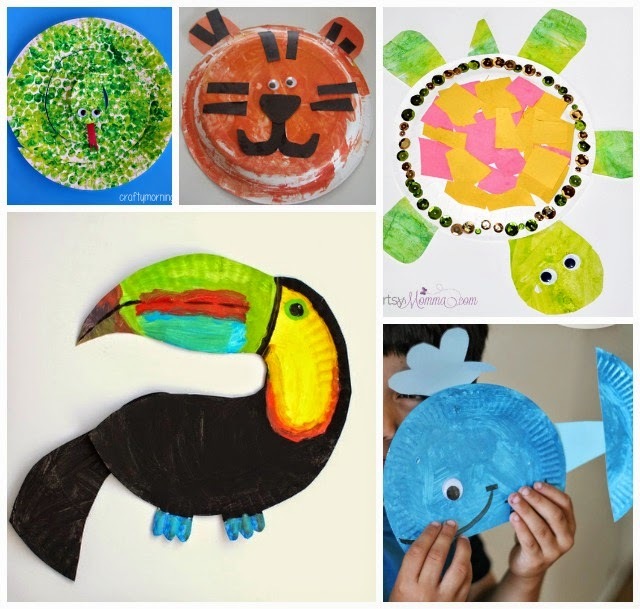 Crafts make a great accompaniment to areas of interest and study for children. Generally I wouldn't be doing a craft just for the sake of doing a craft, but more as a way to take learning further and to continue to consolidate ideas and understandings on a particular topic/subject. As an example, when teaching the Early Years the letter "S," we would do a number of different fun activities focussing around this letter and the sound that it makes to engage children and help them to learn and retain the information. 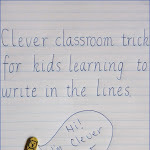 One of the activities would be making a paper plate ssss-snake that we'd hang by ssss-strings and watch them ssss-spin! The process of making the crafts engages fine-motor skills and creativity as well as encouraging children to follow instructions. With crafts, there is often an order to what needs to be done, ie. cutting before painting, that children learn, as well as specific skills like cutting, pasting, etc. Depending on the craft and your focus, you can use the time creating to talk about things like what you're making, what letter it begins with, what classification it falls under, what sound it makes, how to spell/write/read the word and so on. 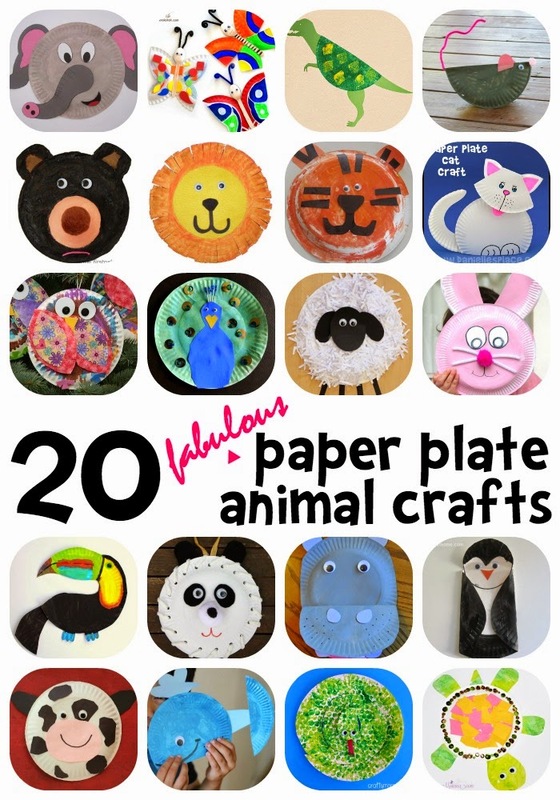 As animals are something that children are always going to be interested in and will always be learning about, here I've compiled my favourite paper-plate animal ideas from around the web. 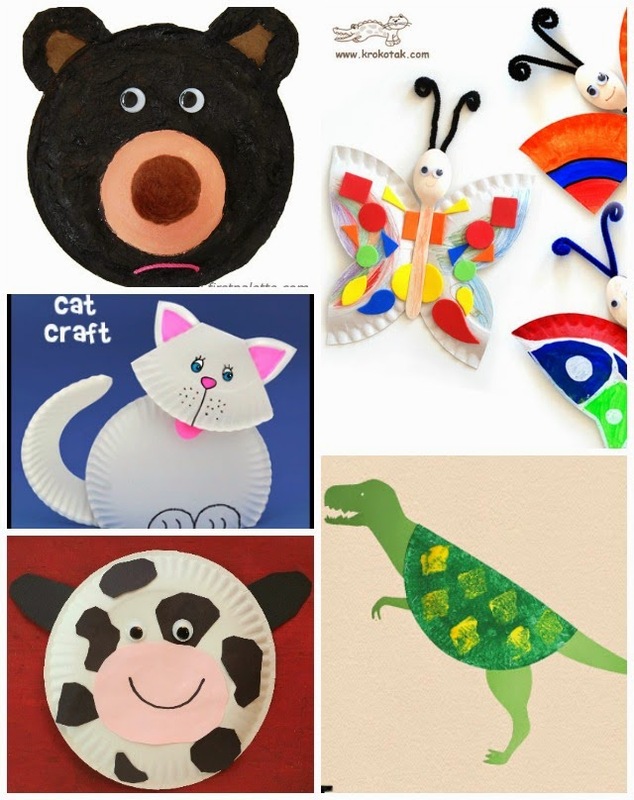 - Simplify these paper plate animal crafts for younger children by helping with any tasks that they're still to develop the fine-motor skills and coordination for, like the cutting. Really young children can help with decorating and sticking on parts and those children developing skills can use the experience to practice cutting and positioning. Reading and researching non-fiction stories and information about your animal. eg. Find out more about their habitat, location, food etc. 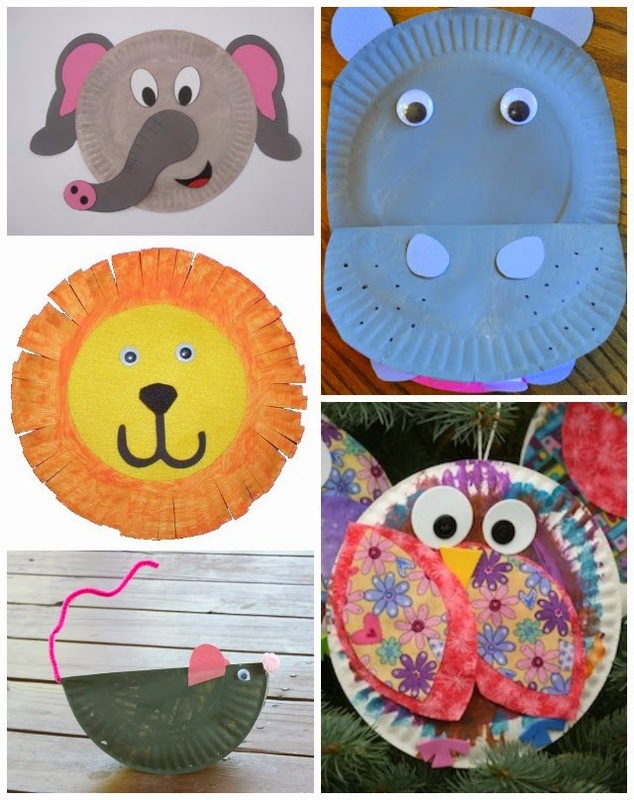 - Allow creativity by not insisting that their animal craft look exactly like the pictures. What colour could their animal be? How is it the same or different from the real life animal? How could you make the craft a little different to add your own spin on it? 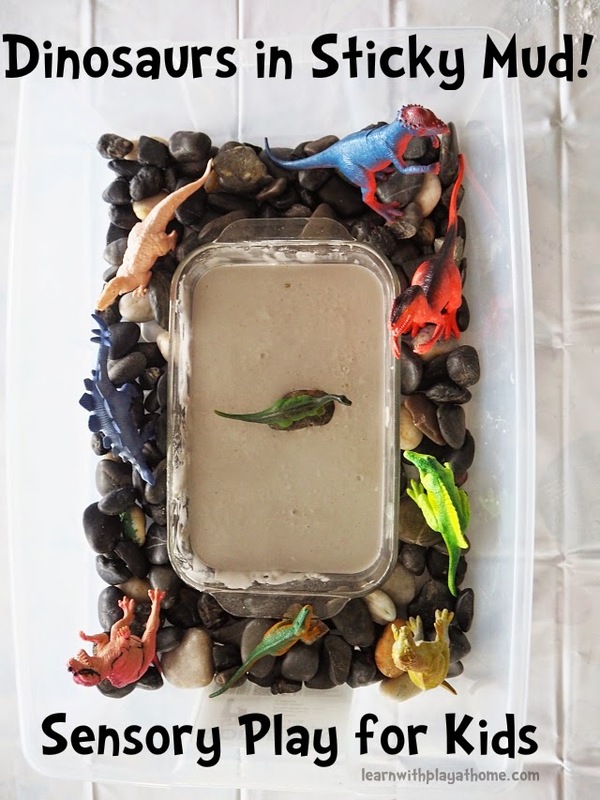 Have a whole pile of squishy, sensory fun, making and playing with dinosaurs in sticky mud! 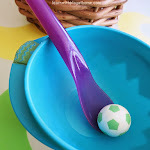 With a super simple recipe, you can whip up this sensory experience in just a couple of minutes. 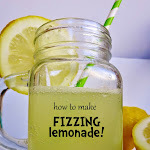 Recently I was invited by DAIRYLEA to take part in their Hackademy, where a group of Mums got together to chat "MUMMY HACKS." Little helpful tips and tricks that make the overall job of being a Mum, just that bit easier. It was a fun day with lots of great ideas that you will be able to see on the MUMMY HACKS website. As I find myself spending a fair bit of time in the kitchen, it's an area that I am always happy to reduce time in and make things a bit easier for myself. Over the years I have found some ideas have been more useful than others and some I find myself using all the time. We love smoothies at our house as they are a great way to use up fruit and include a good serve of dairy. We usually make our smoothies from a combination of full cream milk, greek yoghurt and a variety of fruits, spices or honey for different flavours. 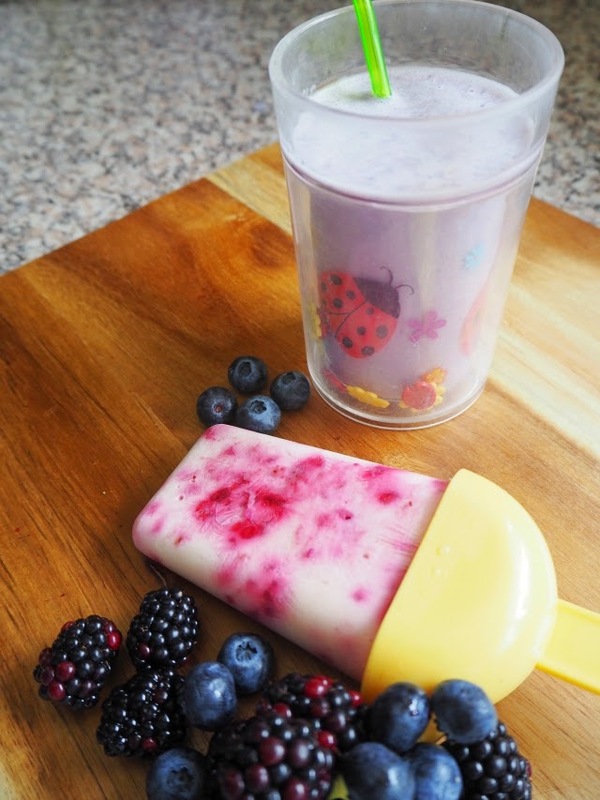 You could make dairy free ones with a combo of fruit, juice, ice and veggies. Play around with combinations to vary the taste and use the ingredients you have on hand. When making up a smoothie, I always make a bit extra as it means that I can freeze it and the kids can have a frozen treat on another day. Whizz together 2 cups of milk, 1 ripe banana, half a cup of berries (frozen or fresh), half a cup of greek yoghurt with an optional squeeze of honey or sprinkle of cinnamon to taste. Vary the amounts to suit the amount of children you have and the amount of icy-poles you want to make. One afternoon my kids will have the fresh smoothie we've made and the next afternoon they can have a smoothie-pop instead. Banana and raspberry is a particular favourite with my kids. I find that my children are more likely to try new foods and generally eat healthier when we cook and prepare foods together. It's a great time to discuss foods and learn more about healthy eating. 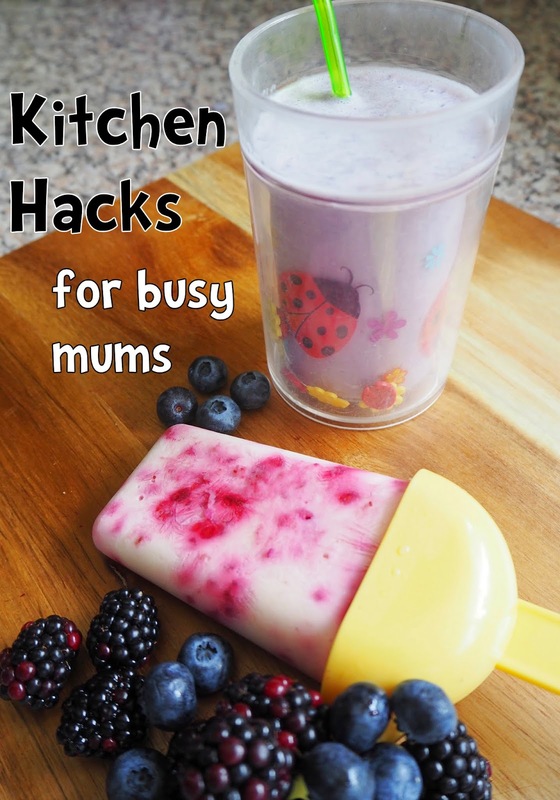 Pop over to the MUMMY HACKS website to see the rest of my top Kitchen Hacks for Busy Mums. 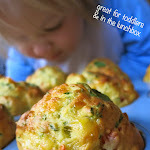 Our snack boxes are also great time and sanity saver. What are your favourite time saving kitchen hacks?